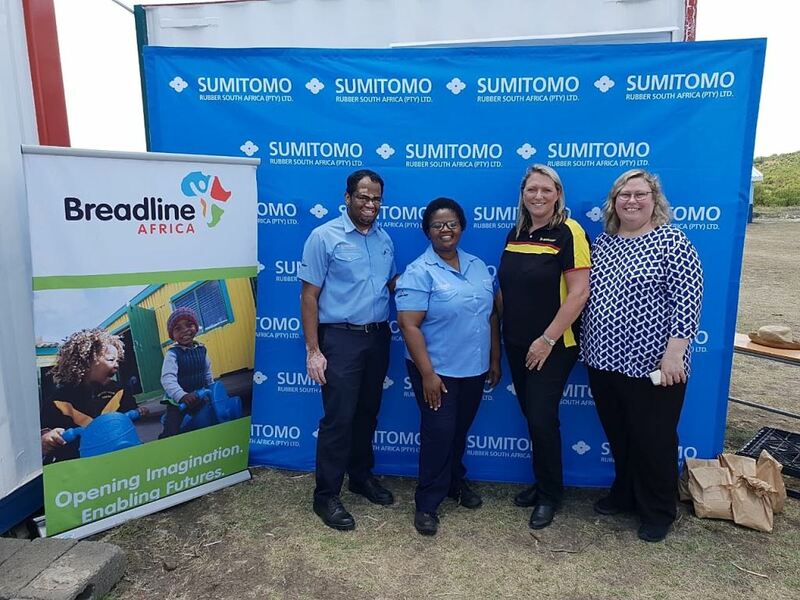 Pictured at the handover of the refurbished 12m shipping container are, from left: Udaiyappan Ulagappan, SRSA factory director (Ladysmith); Thandiwe Mdunge, manager: Training & Development, Ladysmith; Joanne de Freitas (SRSA Manager: PR & Events); and Melanie Jackson (Breadline Fundraiser). Let’s face it. With the numerous Commissions of Enquiry into corruption combined with Eskom’s woes being imposed onto our nation on a daily basis, it’s easy to forget that there are still good people doing good things in our country, many of whom come from our industry sector. And we need to remind ourselves of this. Take this story as an example. 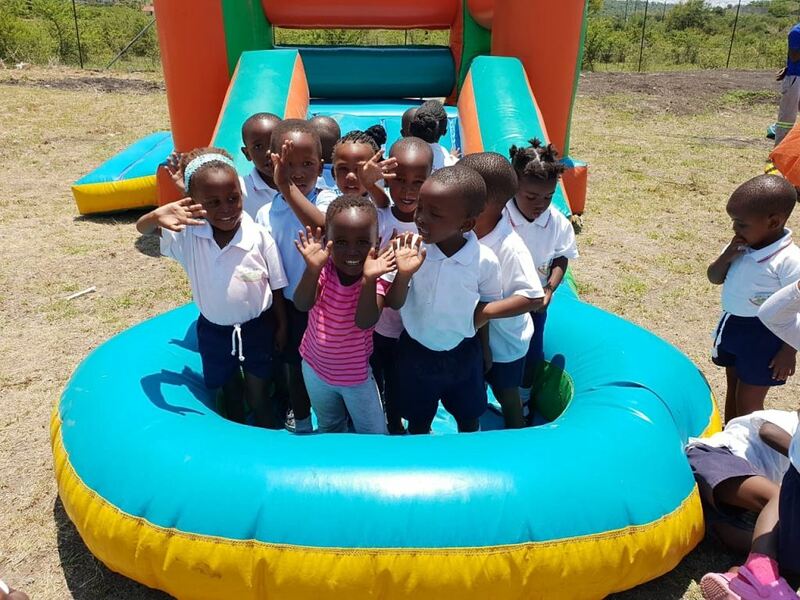 Sumitomo Rubber South Africa (SRSA), manufacturer of Dunlop, Sumitomo and Falken tyre brands, has come to the aid of 26 youngsters via the donation a 12-metre shipping container to enhance the learning and working environment at the Siyathanda Creche near Ladysmith. The container, which was refurbished by Breadline Africa as both a classroom and a kitchen, replaces an unsafe makeshift wooden structure that was being used previously. The 26 youngsters who attend the creche daily will now have a safer environment in which to play and learn. Staff preparing meals will also be able to do so in a more hygienic and secure facility. A second refurbished container was donated to provide ablution facilities. 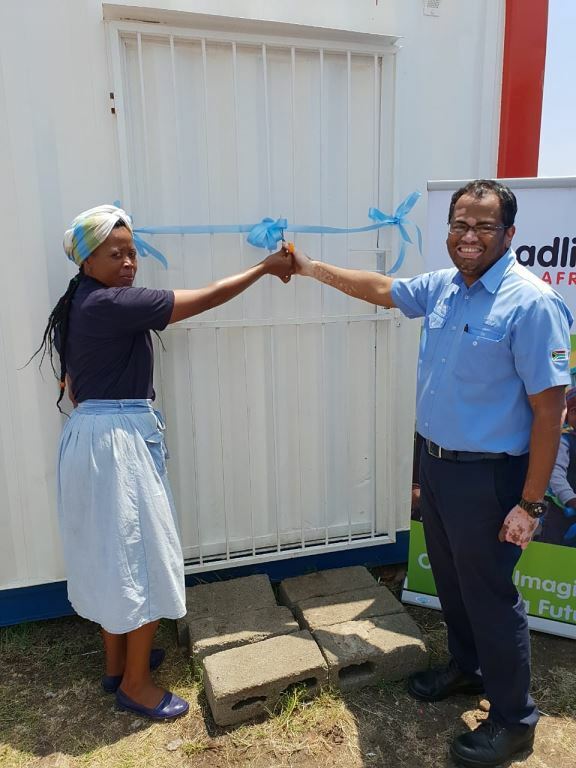 It was a happy day for Nomaswazi Khubeka, principal of Siyathanda Creche, when she cut the ribbon to the refurbished shipping container with SRSA factory director (Ladysmith) Udaiyappan Ulagappan. The official handover of the facility to school principal Nomaswazi Khubeka took place towards the end of January 2019 with SRSA factory director, Udaiyappan Ulagappan, cutting the ribbon. To celebrate, SRSA hosted a fun day for the children, their parents and the staff at the creche with a jumping castle, lunch and stationery packs provided for the children. 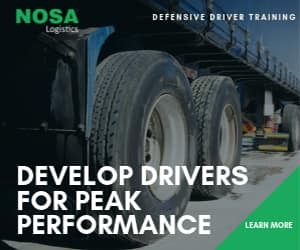 Commenting on the project, SRSA CEO Riaz Haffejee, says: “As a company we believe we have a role to play as a catalyst for community development, entrepreneurship and the transformation of the communities we serve. The project was undertaken in partnership with Breadline Africa which focuses on providing infrastructure to support childhood development. Since 1993, Breadline Africa has placed more than 460 infrastructure units in resource-poor communities around South Africa, providing classrooms, libraries, kitchens and toilet facilities in early childhood development centres and primary schools. Through the SRSA donation, these happy kids now have a safer and happier environment in which to learn and play. Well done SRSA. 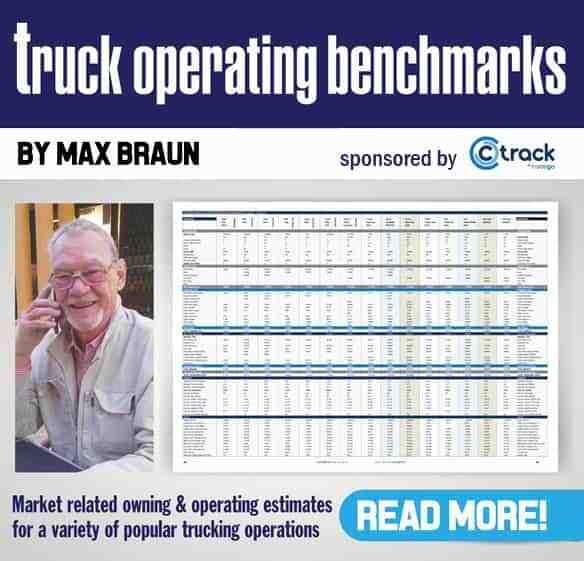 FleetWatch salutes you on this laudable gesture.